On-site dining and a sweet perch north of Boston are highlights at the non-smoking Le Meridien Cambridge-M.I.T. The eight-story Le Meridien’s 210 rooms are equipped with plush bedding, cable TV, coffeemakers and room service. Wi-Fi access is also on the menu. 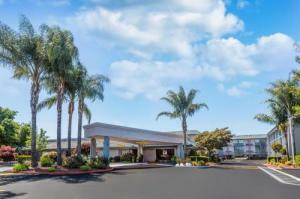 The hotel’s 24-hour fitness center is equipped with aerobic and strength-training equipment. Corporate guests are happy to see the ample in-room work spaces and 24-hour business center. Mediterranean flavors and martinis are available in the on-site grill and lounge. Valet parking is offered for an additional fee. The entire property is non-smoking. Le Meridien borders the Massachusetts Institute of Technology, four blocks from the subway and one mile southeast of Harvard University. The hotel is two miles north of games at Fenway Park and 10 minutes from Boston Common. Flights land six miles east at Logan International Airport. our guests find the “very modern” Le Meridien Cambridge-M.I.T. to be a luxurious sanctuary with “excellent service,” “upscale food” and a “great location” in Cambridge. On-site dining and a sweet perch north of Boston are highlights at the non-smoking Le Meridien Cambridge-M.I.T. The eight-story Le Meridien's 210 rooms are equipped with plush bedding, cable TV, coffeemakers and room service. Wi-Fi access is also on the menu. 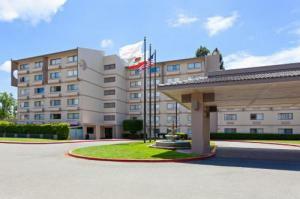 The hotel's 24-hour fitness center is equipped with aerobic and strength-training equipment. 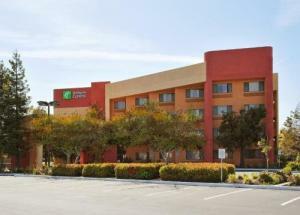 Corporate guests are happy to see the ample in-room work spaces and 24-hour business center. Mediterranean flavors and martinis are available in the on-site grill and lounge. Valet parking is offered for an additional fee. The entire property is non-smoking. Le Meridien borders the Massachusetts Institute of Technology, four blocks from the subway and one mile southeast of Harvard University. The hotel is two miles north of games at Fenway Park and 10 minutes from Boston Common. Flights land six miles east at Logan International Airport. our guests find the "very modern" Le Meridien Cambridge-M.I.T. to be a luxurious sanctuary with "excellent service," "upscale food" and a "great location" in Cambridge. What's Bad: fire alarm and building evacuation at 7am, totally unnecessary. What's Good: Very friendly staff. What's Bad: I dislike extra charge for good quality wifi. Everything else, great. What's Good: there should be,but it turned out that it wasn't worthy any more. What's Bad: I had a cancelled reservation（cancelled for free）before and an available reservation after the previous cancellation. And I showed up in this Le Meridien Cambridge hotel, checked in, lived to the checkout day(3.12), and paid off the bill with my two credit cards.However, 4 days after my checkout (3.16), one of my credit card which used in the hotel was charged an unexpected $163.79 by this hotel, which just confused me badly. After I complained to booking about this wrong charge, and after many negotiations on that, the hotel still refused to refund the wrong overcharge to me. I just can’t believe that a 4-star hotel could make such ridiculous mistake and refuse to admit its wrong. DO NOT RECOMMEND AT ALL, EVER!NEVER! What's Good: A lot of things. What's Good: Size of the room, rate for the room, and cleanliness. The location to downtown Boston, nearness of mass transit were bonuses. What's Good: Fine hotel, quality bedding, everything. Restaurant was great too. What's Bad: Very difficult to operate the washroom tab. What's Good: The location is good. It is only 10 minutes away from MIT by walk. The room is clean and tidy.The staffs are friendly. What's Good: Not much likeable if you were treated like criminal from beginning. What's Bad: Took full payment upfront and validated credit card still charge a security bond TWICE. After complained, no apology and refused to deal with it. It's shocking the duty manager treat customers in a very rude manner. The hotel doesn't allow staff to call overseas even if marketed to overseas visitors. Comments: Not recommended to anyone. What's Good: The room and the place is pretty comfortable overall. What's Bad: No sound insulation through door to adjoining room. Therefore I was kept away by women laughing and chatting. It was critical I got to sleep early because of rising at 5am. Was impossible. What's Good: The staff is very friendly and accommodating! What's Bad: They need to offer more gluten free options on their dining options. The very least they should have gluten free bread always available. This was very inconsistent. What's Good: Great location, near MIT, nice decor, clean and comfortable bed. What's Good: The room was a good size and very comfortable. What's Bad: The bath/shower was a bit grotty. What's Good: The rooms looked amazing. What's Bad: The service is very bad,and the employee don’t know how to print the receipt,and insist that can’t issue the receipt.and the attitude is very bad.The room is not clean,the suites is dirty.Very bad experience here.no next time. What's Good: I love the convenient location and super friendly staff. The hotel really exceeded my expectations and was everything that I needed it to be. What's Bad: I would have loved for a larger bath tub in the room. I was really hoping for a soaker tub, spa like experience in my hotel rool. What's Good: The bed was dreamy, very comfortable. And the location was perfect. I could walk alone safely to my destination several miles away. Lots of cool stores and restaurants right nearby. What's Bad: Booking.com rate was excellent. However, I spent just as much on parking (which the website didn't relay the fact that it cost anything) and room service which was extravagant for what I got, a simple and bland meal. Altogether, it was very pricey. What's Good: Recently refurbished and up to the standards I remember from ten years or so ago. Very well maintained and comfortable. Bed was very comfy and slept like a log. Very close to Red Line T - Central stop. What's Good: Windows that open. Quiet rooms. Very convenient Central Sq location. (Note: good food and the T and even rental cars are practically out your door.) Nice, modern room and bathroom for a U.S. hotel, but not over the top. Staff were smart, accommodating, professional. What's Bad: The breakfast is limited and expensive. But Central Sq is a few paces away, and you can have really good breakfast there. There is a very loud and annoying ping in the elevator at every floor. The bellman said it's normal. What's up with that? What's Good: Near airport, very comfortable bed and pillows. Whenever I stay here, I always sleep very well. Room temperature is just right, no AC or heater noise. The design is modern and delightful. Room is clean. Cafe Luna near hotel is fantastic for brunch. What's Bad: The restaurant at lobby more looks like a bar than place for a meal. Often there is no one attend the bar or the sitting area. Wish it can be more organized like a restaurant that can enjoy a proper meal. What's Good: The cleanliness, the bathroom, the room, front lobby & overall decor of the hotel. What's Bad: The renovation, the parking & parking attendant not available at all time. What's Good: The location is great if you're attending MIT. What's Bad: The price point for this hotel is quite high relative to the overall nature of the hotel and the experience received. What's Good: The room and location were great! We went here as part of a surprise birthday celebration and they sent chocolate covered strawberries to the room. The accommodations were very nice. What's Bad: When we checked in, they sent us to a dirty room so we had to go back down with all our luggage to get it sorted out. Then, someone came by 30 seconds after we got to the room to take our luggage cart. I would have preferred to have a few minutes to settle in or bring it down ourselves. BUT, they did comp us a free breakfast, although I could not eat anything due to a food allergy. What's Good: The bed is super comfy. The Malin and Goetz bath products. What's Bad: $400 a night is overpriced for such a generic experience. What's Good: The bed was comfortable, but the pillows were pure bliss. I wanted to check with the desk to learn what kind of pillows they are, so that I can get some at home. What's Good: The bed was wonderful. What's Bad: The bar was a little pricey. What's Good: The staff at the front desk was very good, likewise the doorman. The room and bath were well fitted out, and had an operable window (very impt). Bed comfortable, nice linens. What's Bad: Breakfast area/bar too open and draughty, more like a high end student union. Not very inviting. $7.00 for a bottle of Icelandic water seemed almost insulting. In my view better not to have it on offer. Room decor trendy but not to my exact taste: too many contrasting patterns of greys, silver and black, but that's personal. (Picture of chairs in same palette over desk was interesting). Too many patterns happening in the corridors. Positively cacophonic! Warmer palette was welcome, however. What's Good: The room was very nice and the beds were comfortable. It was more than what I am used to. But i would absolutley go back. The staff was awesome and even tho I felt out of place, they did a great job at making feel comfortable. What's Bad: The only thing I found was the pillows were to soft. What's Good: Very kind and professional staff, good breakfast and position.The hotel is located in the MIT zone and very close to the riverside, perfect for an amazing walking or jogging. What's Bad: Expensive Hotel. Anyway, it is aligned with the other structures in Boston. What's Good: Staff were reasonable. Location is reasonable. Rooms are spacious and well furnished, bed is comfortable. What's Bad: The condition of the bathroom was embarrassing. A leak in the unit above had been going on for some time, and in the morning a smell of sewage could be detected. I was far too busy to deal with that during my stay, but I'm disappointed that frequent routine inspections and repairs aren't undertaken by management. The breakfast served in the restaurant, "Amuse" was bland, paltry, and disappointing - the eggs specifically were tasteless even after salting, and the portions were terrible. The restaurant coffee is reasonable, but the room coffee is Keurig-brewed and weak. What's Good: My daughter and I spent the night at the hotel in transit to Canada. The hotel is centrally located if you want to visit Harvard or MIT, which we were able to do walking. The hotel is clean and staff were friendly. What's Good: Bed was comfortable. AC wasn’t loud. Staff was great. Parking was easy & close. What's Good: Gave me the right high class feeling to be 100% comfortable. What's Bad: Breakfast was terrible. I was charged different rates Everyday. The choice for breakfast could be better considering what we pay. More fruits and choice for lactose free milk should be offered. What's Good: Location is great for those having interests in the area around MIT. Our room was clean and spacious with all the basic supplies at our disposal. Good value for money. What's Bad: AC was very noisy and, since we we not able to open the windows to get some fresh air, working AC made it difficult for us to sleep. Comments: Good value for money. What's Good: Good location and clean rooms. What's Bad: The air conditioner is old and therefore noisy. What's Bad: Ray at front desk lied. Said he would comp our rooom when no A/C made it unbearably warm and then said the next morning that he never said that, that he said he would give us a $100 discount. A lie. Thankfully Max the manager rectified the situation. What's Bad: Room cost for a single weekday night was quite high, although not out of line with Boston summer hotel prices. What's Bad: Don’t book on 3rd party sites, better deals on hotel website. For $10 more I would have received free parking on the hotel website-a $28 value. 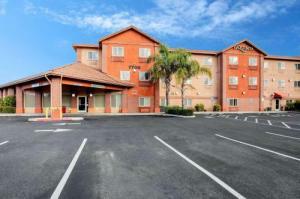 Or for $50 less a room with a lower floor and no parking-again not available on booking.com. What's Good: Staff extremely courteous and flexible. Great location right in the middle of MIT campus but walking to Kendall Square train station is a 10-minute walk. Hotel serves morning complimentary Starbucks coffee. Public car park right next door and also serves AVIS/Budget cars for rental pick up and return. What's Bad: Shower water pressure was low. Beds were a bit soft for my liking. What's Good: The staff was great. Good vibe when you come in to the lobby and bar area. Food and drinks were good. What's Bad: The newly renovated rooms were done in very low end furnishings. Pulls in the carpet, the toilet paper holder was coming off the walls and the ad makes it seem like it is near the river and it is not. What's Good: The staff were very helpful. What's Bad: The housekeeping: my amenties were not complete every day...something were always forgotten like the free water bottle or the coffee refil or the soap. What's Good: Staff was exceedingly helpful. From front desk to housekeeping the folks were always there to help. Taxis they can get it. Shipping items, they can give you ideas and/or directions. Extra towels or pillows not a problem. Restaurants, we enjoyed their recommendations. Loved it! What's Bad: The AC didn't seem to be able to keep up with daytime rising temps. May have been just our room. This however would not deter us from staying here again. What's Good: The room is two times bigger than the hotel I booked in midtown of Manhattan. I did not expect the extremely comfortable room. I love this hotel. Because the location is wonderful, close to MIT and the Main Street. There are many things to do on the Main Street, such as shopping, eating, drinking. It is a quite safe area. There are still lots of people around 11:30pm on the street. The hotel is super clean and tidy. I did not expect that standard when I booked it. Although the price is higher than Airbnb I booked near this area, the price exceeds the expected accommodation and the staying experience. I will definitely recommend my friends to book the hotel. What's Bad: So far no. What's Good: We were greeted by a very polite front desk staff member and was offered an upgrade to a top floor newly renovated room with a great view and clean brand new everything! The beds were comfortable, linens were white baand clean,bathroom spotless! What's Good: We have stayed here 3 times before. Everytime I think let's use Airbnb in Cambridge, I remember Le Meridien and we go there. Love the staff, beautiful courtyard view, great huge window for sunlight. Thank you! What's Bad: Restaurant food was terrible. What's Bad: The AC unit sounded like a bad engine...and turning it off only let me listen to the bad motors on all other room's units. You could hear every on/off of faucets. On the upside there were ear plugs on the night-stand! I travel a lot, the quality of this room was an outlier. Not particularly cheap either. What's Good: The bartender, Mike, was very pleasant And Professional. The chef was very Cordial and brought my college grad a special treat to the room, which was Awesome!!! Our check in was also handled in a courteous manner. Thank You LeMeridien for a very pleasant stay!! What's Good: Location and cleanliness. What's Good: Location is excellent especially if visiting MIT. The room is spacious and the bed is very comfortable. What's Bad: Restaurant is ok. Food choices are average and the ambiance isn't great, yet fine for a quick meal. The neighborhood has a wide selection of options especially those that cater to a university crowd, of course. What's Good: Clean and quiet and spacious. What's Good: The location is good. Just a short walk to Central T station which takes you to the centre of Boston very quickly. Public areas in the hotel are modern and stylish. Food served in ghe restaurant delicious. Good variety in the breakfast menu (cost not included in stay). What's Bad: Some fixtures are rather old and dated. But this would not stop me recommending this hotel. Comments: Good hotel, great breakfast. What's Good: Clean, easily accessible, excellent, friendly, helpful staff. What's Bad: Expensive for such a plain room. What's Bad: On the first night, I just could not sleep. The heater made an extremely loud noise every hour and so, and it would wake me up. I’m not a light sleeper, so I know that the problem was really with the heater. It would make an extremely louse noise very often. I had to work the next day. It was a disaster. And the hotel was actually pretty expensive, you would not expect that. A couple friends with me stayed in a room with heir small kid. They found an inappropriate object hiding under the bed. Disgusting. What a disappointment. What's Bad: Beds were fine but could be firmer. Too soft. What's Good: Comfort, clean and kind service. What's Bad: Did not include breakfast. 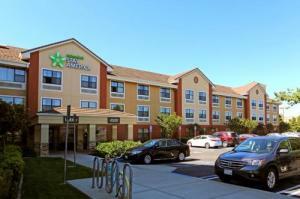 What's Good: Great property, super location in Cambridge with a restaurant and bar on premises. What's Bad: Hotel restaurant was not great. What's Good: Location was excellent. What's Good: Very helpful staff! Good hotel, good breakfast. What's Bad: The business center is down my whole stay. What's Good: The staff was so friendly. The room was clean. What's Bad: * Walls/floors are a little thin. We heard the family next door quite clearly, including their baby, in the morning. * Late checkout rules were a little onerous. They let us have a 1pm checkout but the card key stopped working at noon. What's Good: The location was great. What's Bad: Everything from repairs taking place outside my room during the day, lack of any mini bar, calling room service was a hassle every time because they didn’t pick up for 5-10 mins, lost a package I had delivered to the hotel for around a day, tv kept having issues etc. What's Bad: I would have liked a water boiler to be in my room in addition to the coffee maker as the taste of coffee over takes the tea flavor. What's Bad: Coffee too weak ! Restaurant food average A bit of fumes from renovation/ maintenance! All smaller things except for the coffee being very weak in taste ! What's Good: the good location! the hotel is very near MIT and red line central , so it's very convenient. The most important is the sleeping mattress is so good that everyday when I go to bed , I always have a nice sleep.Highly recommended! What's Good: The best part about this hotel was the location. What's Bad: The hotel was under construction. At no point in the reservation process or check-in were we informed of this. Our initial room was on a floor that was completely under construction and a disaster. Small things: no trashcans in the room, only 2 small towels were provided, no robes or alternatives. After my shower the piercing smoke alarm went off. We had to request a new room from not very accommodating staff, which came with 7am hammering on both Sat and Sun. They did not provide cleaning service or restock our coffee/shampoo at any point of our stay. This was the worst Starwood property I have ever visited. What's Bad: Wish there were USB ports in the room, would have liked two robes instead of one, key system for elevator was occasionally touchy. Very small gripes! Comments: We were very happy! What's Bad: The black and white artwork (of chairs) in room was truly dismal and depressing. Please try to find something more uplifting and replace it! Otherwise, our experience was fabulous and the Booking.com rate for $100 brought us there. We hope to return. What's Good: Staff were friendly, hotel was clean and it’s in a good location. What's Bad: Food in restaurant was just okay. Filled a hole but wasn’t anything to write home about. Plenty of restaurants near by but I just wanted something quick before I went to bed. What's Good: We repeatedly stay at Le Meridien for its location, staff, and clean comfortable rooms. It is a great value in the off season, there is a local grocery store, excellent restaurant, ATM, Dunkin Donuts, CVS, and most everything else you could need. What's Bad: I wish they had refrigerators in the rooms, there is a spot for one in the cabinetry, but the last few times we stayed, there wasn’t one in the room anymore. What's Good: Good beds, nice vibe, easy to get to things. What's Good: Great stay, wish I could have stayed longer. What's Bad: The sink drain needed some work. What's Good: The staff at reception were exceptionally friendly and helpful. The room exceeded expectations- two comfy king size beds, lovely bathroom facilities and excellent toiletries. We couldn’t have asked for more - a fantastic base to explore Cambridge and Boston. 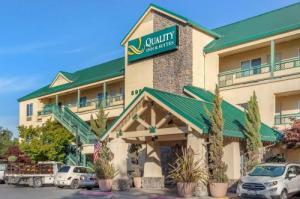 What's Good: The staff is very friendly and the rooms are clean and well-equipped. 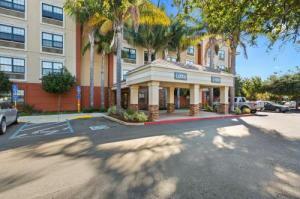 The proximity to the train station and to very good restaurants makes this an ideal location. What's Bad: When we got our car back from the valet, the automobile smelled strongly of smoke, which we had difficulty clearing on our 3 hour ride home. What's Good: Great location, great breakfast, comfy beds. What's Good: Location. Big store is just next door. Kind staff at all. Even we left our room late afternoon, our room was always cleaned so nicely. What's Bad: It’s not about the hotel or staffs. It’s about guests. They played game and made noisy a lot at 3:00 am. The other day some people gathered at next room and laguhed, talked so loudly at 2:00 am. The good thing was when I called to front desk to solve these problems, they did it so quickly. What's Good: We have stayed at the Meridien many times, and have always been very pleased. This visit was no exception. The staff was lovely, welcoming, and responsive, and the accomodations were lovely. What's Good: The staff was very helpful and cheerful. The bar was a very nice way to finish one of the evenings. The restaurant was good for breakfast. The gym was well equipped. Elevators were prompt and rooms were well appointed. What's Bad: Decor in the rooms (we had 3) was all the same and very corporate. There was a promotion for a "sparkling" reception every night that apparently has been long-canceled, and it was promoted in a place that was not identified in any other literature. If the rooms had been full price I would have considered other options in the area. What's Bad: Parking was expensive and not explained when we got there. Not happy about that at all. What's Good: The room was very nice. The hotel is in the perfect location for where I needed to be. What's Bad: I was shocked and unprepared for the steep incidentals surcharge eventhough it is refundable. What's Bad: Popcorn smell(machine) at the lobby, very unpleasant. Maid didn’t make the bed nicely. What's Good: clean room, updated sensor key cards, fast elevator, pleasant staff. What's Bad: Room was cold and the outlet near the bed was broken. What's Good: Very friendly staff. Good food. What's Bad: Low bath lighting. Poor pillows. Hate that there is no sheet so have no choice but to use the comforter. Broken faucet handle. What's Good: Convenient. Clean and comfortable. Good value. Thanks. What's Good: I liked the proximity - supermarket next door and the T fairly close. I liked the staff - helpful. What's Bad: TV entertainment options limited. Deal on minimising housekeeping too restrictive. What's Good: Location is terrific if you're visiting either Harvard or MIT. A quick walk to the Central T and a large choice of bars and restaurants. What's Bad: Housekeeping was a bit disorganized and failed to clean my room one day, even after I called.... twice. But they gave me a voucher for breakfast, which was a nice gesture. Also, the beds are not the most comfortable, adequate but not wonderful. What's Good: Good location. 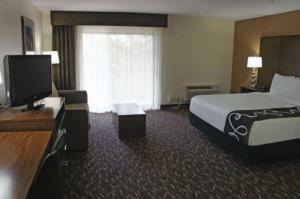 Nice spacious and comfortable room, very nice check in staff. What's Bad: Price was high. Missing fridge in room. Front desk did not bring more water when requested. Coffee in lobby always cold or ran out. What's Good: Clean, well appointed hotel. What's Bad: Parking lot is a little sketchy. My wife said that she would not feel safe going to car alone. Like all hotels in Cambridge, quite pricey. What's Bad: Heat system was very loud, toilet didn't flush properly, refrigerator didn't work, carpets were old and shabby. What's Good: We were there just one night and it was great. What's Good: Great location. Quiet and comfortable. The people at the front door were outstanding. Great experience. What's Bad: I did think the fans in the room were a little too loud. Comments: Good, but too expensive. What's Bad: I was charged $ 786.00 for a standard King size room because all 434 hotels were full in Boston due to 2 conventions in town. This was more than double the standard King room rack rate. The front desk refused to adjust the price to a reasonable level. This is price gouging, and management justified it by saying all the hotels in Boston were doing it due to heavy demand. We had no alternative but to pay, or go back to the airport and stay up all night. Comments: Greedy, unfair business practice. What's Good: A wonderful room that felt like an upgrade but maybe they're all this comfy and cozy! What's Bad: The rooms are really noisy - you can hear everything up down and either side. The breakfast is shockingly over priced. The over use of pumped deodorant/fragrance is over-powering and smells terrible. What's Bad: It was not refurbished in years. What's Bad: The restaurant was good for breakfast but not conducive to a good ambiance for dinner The bar was " cold "
What's Good: The location is great, close to MIT and Harvard and restaurants. What's Bad: Staff is friendly but sometimes not that helpful when they were receiving phone call from me for asking the left behind stuff. It looked like they were not following up my lost and found request. But when I called back the fourth time, the issue got solved. Thanks. What's Good: The world's most comfortable pillows ! What's Bad: The floor of the room was wet when I go in. The sink is not working well. What's Good: Free shuttle to Harvard Square, great bar, cool atmosphere. Everything was perfect. What's Good: The concierge desk was attentive, reception was helpful, ambience was good. What's Bad: I was charged a huge amount extra on my card which caused me a lot of issues in US. The amount has not been reversed yet. What's Good: The location was great. The bed was super comfortable. What's Bad: There was nothing that was special. No extras included. You had to pay for parking. You had to pay for breakfast. Description said there was a sleeper sofa, but when we got to the room, it there was no sofa, let alone a sleeper sofa. The hotel seems like a fancy hotel, but when it comes down to it, it didnt seem better than a budget motel. 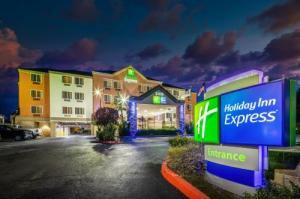 As a matter of fact, I've had better experiences at Holiday Inn Express and Best Western. To me the only good thing about this hotel is its location. Don't expect great customer service or anything extra. What's Good: Nice staff, comfy room, quiet area. What's Bad: The bathroom was a little old and we could hear whenever other guests showered or flushed. What's Good: Staff was great. Very helpful. I loved the Wall Street Journal in the lobby. Very very nice. Popcorn made my daughter's day. What's Bad: Room was nice, but a little ho hum. What's Good: The bed was very comfortable, the room size was great. 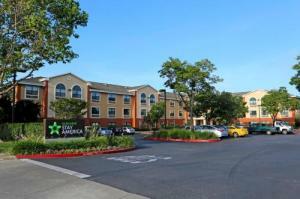 The staff were pleasant and check in/check out went very smoothly and quickly. Location was great to get in and out of Fenway. What's Bad: There wasn't really anything to complain about..
What's Bad: The staff was not friendly. They charged extra on my debit card that blocked my entire money. What's Good: It is clean and the room is spacious! What's Good: The location and was spacious. What's Bad: Was excellent throughout. Good value. What's Good: Location and proximity to MIT. Staff was very helpful and accommodating. What's Bad: Room size could be bigger. What's Bad: Looking back ~ we wish the room was a little bigger for a family of four. What's Good: The beds were very comfortable and the bathroom was clean. What's Bad: Leaking Air Conditioning: I called the front desk to have the air conditioner in our room fixed (it was leaking creating a puddle in front of the door). They came up immediately to fix the leak, however did nothing to clean up the existing puddle on the floor. I did not expect a room change or anything extreme, but this stayed soaking wet for the rest of our stay. Valet: I stayed here with my bridesmaids the night before my wedding. We had several issues with the valet taking longer than expected retrieving my car. We even called about 15 minutes ahead the day of the wedding, and we still ended up having to wait outside for another 10 minutes before the car was finally brought around. What's Good: Beautiful hotel. Friendly staff. Comfortable and clean rooms! We will definitely stay there again! What's Bad: There was nothing we didn't like. What's Good: There was even a supermarket adjacent to the hotel. Water was supplied in my room daily. Coffee and tea options in room...but it is always the quality of the welcome by staff that makes the difference. Each member of staff was welcoming and eager to be of assistance. At 5am they even went to knock on the door of the person I was to ride to the airport with when we realised her phone did not function so she would be on time. This is the kind of attention that makes a difference. What's Bad: The parking spot is very expensive. There is other parking lot near by. What's Good: Bar was good and made us excellent sandwiches for lunch. What's Bad: Rooms were dreary, seating incredibly cheap and uncomfortable, decor dark and depressing, no mini bar. A two star experience for nearly $400! Never again. What's Bad: Housekeeping was extremely bad. What's Good: At reception Nancy was very professional & knowledgeable about Cambridge & the Universities. She graciously tended to all of our needs. Liazam assisted us upon checkout with our luggage. He too was very kind, informative and quickly tended to our needs. The hotel is beautiful, with rooms that are beautiful, extremely comfortable and practical (user-friendly). We look forward to our next stay! What's Bad: Air conditioning in the room was extremely loud. What's Bad: they need to clean their air filters. What's Good: Love this hotel. Clean, easy access to Cambridge and Boston, easy parking, newly renovated. What's Bad: The room we got was a handicapped-accessible room, which was okay. What's Bad: It is NOT that close to Fenway. Booking.com made it seem like it was walking distance. It was NOT. Also, they have a terrible room service/restaurant menu and not many places to eat around the hotel. What's Good: Location was great. Quick walk to the Charles River. Comments: Great Place. Great Location. What's Bad: The complementary wifi is depressingly slow. What's Good: Very good for my travel. What's Bad: $35.00 per night for parking. Not friendly at all. What's Good: Good location for plenty of walking around Cambridge and close enough to walk into Boston itself. Filter coffee is the foyer of a morning was nice and better than many cafes. What's Good: Like the hotel, very good location (cross the street to MIT, many food choices nearby).Very helpful staff! What's Good: This hotel is in a fantastic location, close to lots of restaurants and easy access to the T. The room was very comfortable. What's Bad: The free wi-fi in my room was shocking. I couldn't even send an email! It was OK in the lobby and restaurant though. The walls were a little thin, I could hear the next door room quite a lot. What's Bad: The gym was nice but dirty. The staff gave us a late check out but we came back and we could not get into our room which took awhile to sort out. What's Good: Uber from airport was $21. Check in and front desk service was stellar. Room was spacious and very clean. Bed and linens were superb. Lovely toiletries but 2 bars of soap would be better for 2 travellers. I would definitely stay there again. What's Bad: Fitness room appearance was poor, plaster peeling from walls, etc. Corridor carpets shabby. What's Good: The location and the hotel itself was nice. What's Good: the location and property by itself was good. room was spacious and comfortable. staff was pleasant. we were only here a night so it was ok for that duration. What's Bad: there was a radio/mp3 player that wouldn't work. a menu was provided with the pricing for mini bar and snacks but there was nothing in the room which was weird. What's Good: The bed was really comfy! What's Bad: The closet was stand alone, not incorporated into the wall so was a bit strange for me and took space. 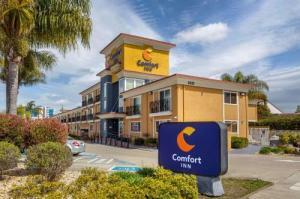 What's Good: Confortable room, spacious and very well located. What's Bad: As everything in Cambridge, it is too expensive. What's Good: It was basically fine. Not bad, not great. Adequate. What's Bad: From a value proposition, it wasn't the best value. What's Good: Staff at the door, desk, and housekeeping were all helpful and welcoming. Close to good places to eat. What's Bad: No continental breakfast....so maybe a few more keurig cups in the room to accommodate more than one guest in the room. 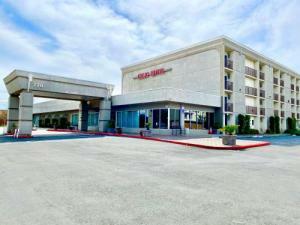 What's Good: The hotel is in a quiet location, yet close to restaurants and coffee shops, and close to a subway station. What's Bad: I really had a bad experience with the reception staff. I checked in with a guest friend and for some reason the registration ended up being in her name. The reception staff made me very worried about the existence of my registration and treated me like second grade citizen. Not what I expect from what used to be one of my favourite hotel chains. Also no minibar. What's Good: access to Harvard was straight-forward from here and the staff were cheerful, informed and very helpful. The hotel itself was very well kept and decorated with a sophisticated and restful decor. What's Bad: Starwood's bed-making would be improved if rooms included a light blanket or sheet that was available as an option to the down comforter. Also, the HVAC unit in our room was quite loud. What's Good: Loved the 24 hrs gym and the next-door supermarket was very convenient. Staff was very friendly, available and ready to help at all times. What's Bad: The rooms were pretty shabby. On a 90 degree day, the only blanket on the bed was a thick down comforter. The bed had no fitted sheet on it--just a top sheet wrapped around the mattress and mattress pad. The air conditioning was obnoxiously loud. What's Good: Central location between the city and Harvard. Was good value compared to other hotels in Boston. What's Good: Nice modern room. Nice bathroom. Close to metro station. What's Bad: Not much around area so have to get metro into city and beyond. 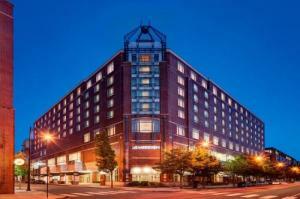 What's Good: This hotel is in the buzzling area of Central square, minutes walk from MIT campus. There is a choice of restaurants, cafes, and bars very close by. Front desk staff was extremely friendly and accommodating. Spatious and quiet room, looking down onto courtyard. Overall a good experience. What's Bad: The room decors felt basic for a 4 star hotel and a nightly rate of $400. It is located amidst biotech companies. What's Good: Outstanding customer service - easy check-in, and upon arriving to our room, a follow up phone call to make sure everything was to our liking. VERY expensive to park (over $40 per nite) so don't drive if you don't have to. No real need for a vehicle. Plenty of places to eat, and a supermarket right next door. What's Good: Bed was comfortable. Food was available and open when needed. Front desk people were friendly and helpful. What's Bad: ADA room is never my preference. Water pressure was low. Costs were high for the room and for parking. What's Good: Bed extra comfy. Great restaurants and bars in the area. What's Bad: More expensive than expected but in line with Boston hotel prices.